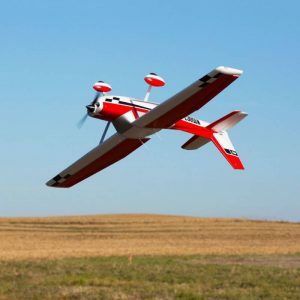 Horizon Hobby has been releasing a bunch of cool new scale foam models in the past year or two, but most of them have been of the park flyer or mini size variety. Not this one though! The all new Cessna 150 spans nearly seven feet across the wing and is almost five feet long. Don’t fret if you have a smaller car or vehicle to transport this beautiful beast as it has a two-piece wing that is “plug and play” … that means no fussing with servo leads into the fuse. 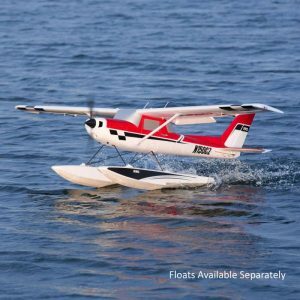 Also, the nose gear is strut equipped for rough field operations and there are optional floats for those fond of flying from water. The power system is potent and capable of running any 4-6S LiPo with a maximum capacity of 7000mAh! Each model comes equipped with scale Nav lights and the BNF model has AS3X with the option to add the SAFE system. Best of all? This Cessna can provide a wide flight envelope. Slow it down with the use of the included functional flaps for some knife edge and rolling circles or practice your STOL operations … OR … toss a potent 6S pack in there and let it rip! Whether scale flight or not so scale aerobatics are in your bag of tricks, the Carbon Z Cessna 150 is sure to please. Previous What’s Your Favorite Model To Fly?